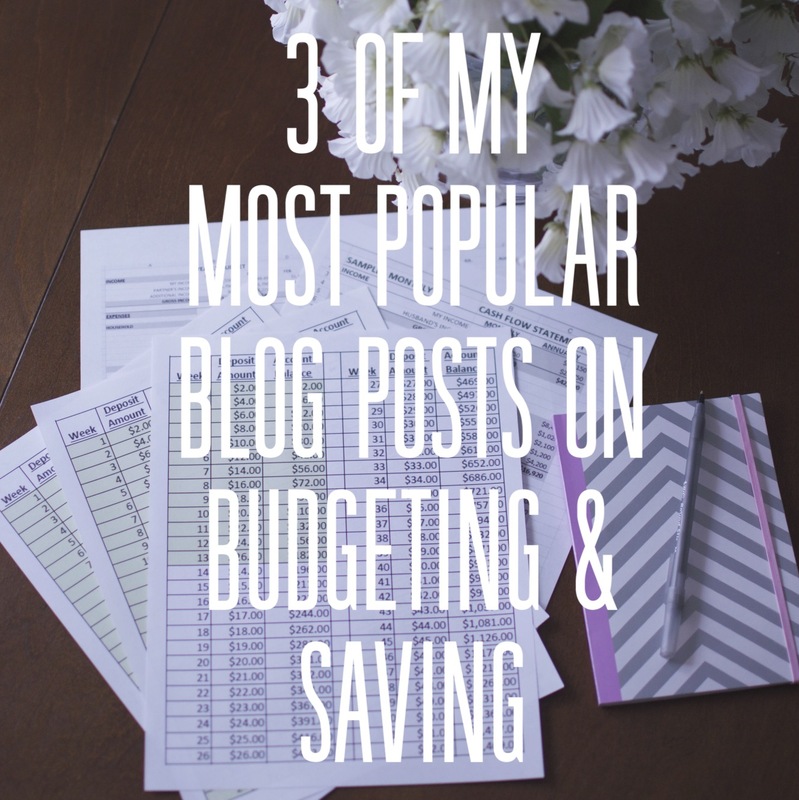 Three of My Most Popular Budgeting & Savings Posts! On Thursday I finally reached 100,000 views on my blog! I was kinda freaking out a little bit! Feels pretty crazy knowing that over 100,000 people have come to my blog at some point for some reason. So thank you to everyone for checking it out! Anyways, in the past three weeks my views have spiked because at the beginning of every year everyone wants to get their budget in order, along with other things like lose weight, adopt a healthier lifestyle, out with the old and in with the new, and all that good stuff. 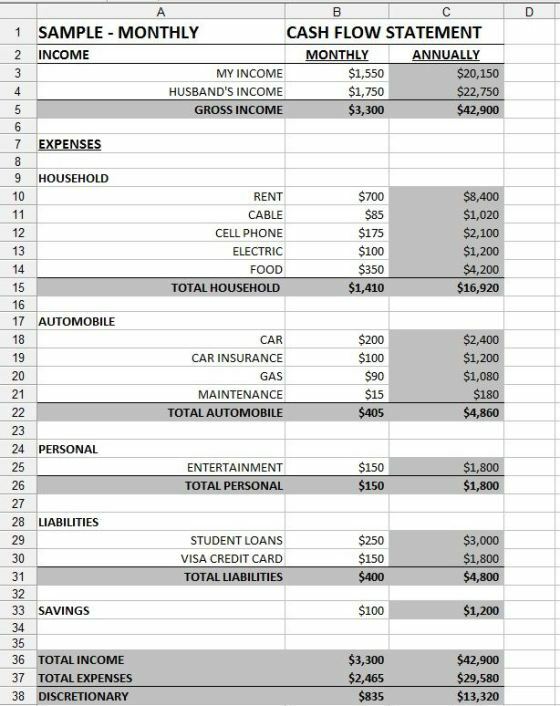 A few of my budgeting and savings posts from 2013 and 2014 were getting a lot of attention because they’re super easy to use so I thought I’d link you to them in one post so that you can easily find them. 1. Monthly Budget Spreadsheet! – Before you can determine how much money you can and should be saving a month you need to figure out your monthly budget! I promise it’s not as painful as it sounds and doesn’t take too long to put it all together. But honestly, it’s a necessity! 2. 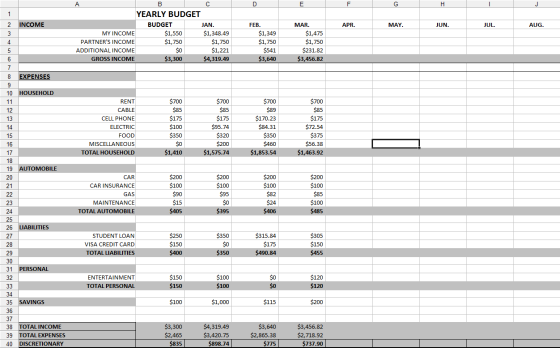 Yearly Budget Spreadsheet! – Once you get your monthly budget together the yearly budget spreadsheet is just a place to keep you on track all throughout the year. It’s also fun to see how much money you’ve saved at the end of the year! 3. 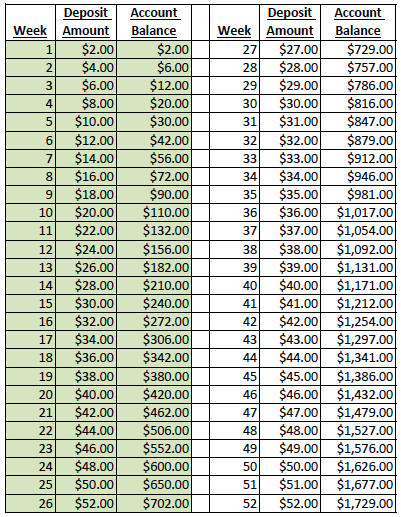 The Revised 52 Week Money Challenge! – It’s not your average 52 week money challenge. Believe it or not it’s actually a little more challenging. See which of the three challenges tickles your fancy! All of the links to download the spreadsheets and the 52 week challenges are in each of the posts. I hope they help you and happy saving!